The artistry of this piece is evident. The wide assortment of colors gives the sense of a full experience. 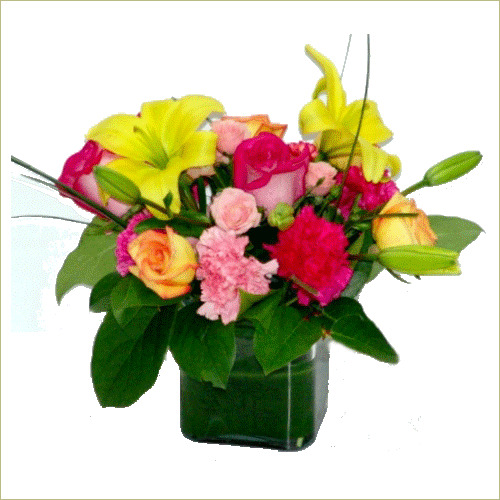 Lilies, roses of various colors, and pink carnations make this one a winner!